Amongst the 12 Azhwars , Vishnuchittar was glorified as ” Peria Azhwar” . Our poorvacharyars comment that though he appeared after Mudal azhwar, Nammazhwar, Thirumazhisai Azhwar, he was honoured with the title “Peria Azhwar because while all other azhwars glorified Lord as Supreme Personality, Azhwar had “pongum parivu” ( vatsalyabhava). Swamy Manavala Mamunigal in ” Upadesa Ratnamala ” says “Pongum parivaale petraan Periazhwar ennum peyar” meaning that because of the vatsalya bhaavam like a mother towards the Lord, he was conferred with this title. Periyazhwar was overwhelmed to have darshanam of the Lord after winning the debate called by the Pandyan King at Madurai few hundred years back . Having darshan of Lord Koodal Azhagar Perumal , along with the Goddess who had come to witness the marathon procession honours done by the King to the Azhwar , on Garuda Vahanam , Periyazhwar was worried that such a beautiful form of Lord may attract evil eye . Out of the vatsalya bhaavam which he had for the Lord, he considered himself to be Mother Yasodha and experienced all the divine pastimes which the Lord displayed during HIS avataram. Out of the 473 pasurams which he composed known as “Periazhwar Thirumozhi”, about 190 pasurams are about the divine pastimes of Lord Krishna …..
Periya Azhwar was an incarnation of Garuda (the divine vehicle of Lord Maha Vishnu). Azhwar was serving Lord Vatapatrasayi perumal at Srivalliputhur . During a recitation event of Srimad Bhagavatam inside the temple , Azhwar was struck to one incident which inspired him to take up the garland service to Lord . 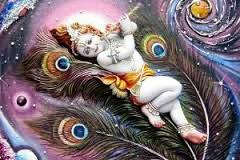 This sweet pastime of Lord Krishna meeting a person at Mathura moved him . Lord Krishna meets a person who was carrying garlands to the demon king kamsa . Lord asks him to part with a flower garland much to the surprise of the villager. The innocent man he was , replied Oh Lord !!! ” several saints perform austerity and devotional service to seek your company and I am humbled with your mercy on me . Please take this wonderful garland as a small gift .. I surrender even If Kamsa kills me …. The lord was very pleased with his service and blessed him . 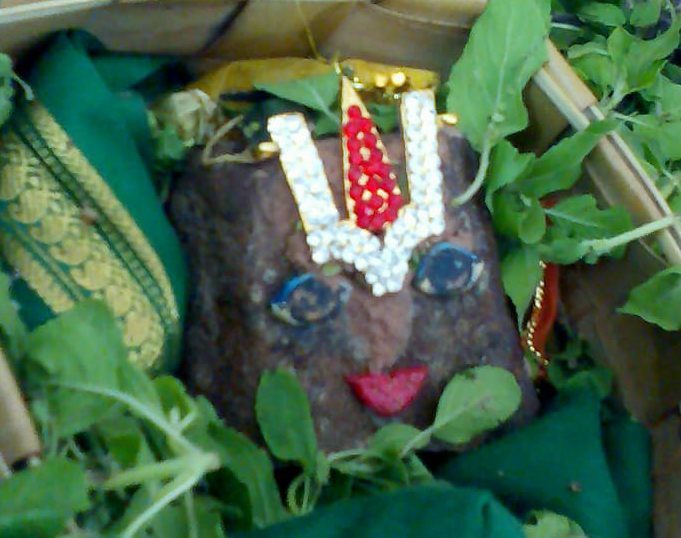 The incident left a strong impression on azhwar’s mind and he concluded that preparing and offering flower garlands to the Lord was the best kaimkaryam to HIM and thus he cultivated flower gardens all around the temple and used to prepare a small flower garlands with different varieties of flowers. The list included Tulasi, lotus, lilly roses and other perfumed flowers ( shengazhaneer, mallikai mullai ) which he offered to Lord daily with deep love . He used to offer eight varieties of flowers which would blossom at different times in a day . The divine couple competed amongs’t themselves to bless this devotee. Bhoomi devi, the Lord’s eternal consort appeared as his daughter whom he named “Kodhai”/ Andal His love for Lord Krishna was ultimate . 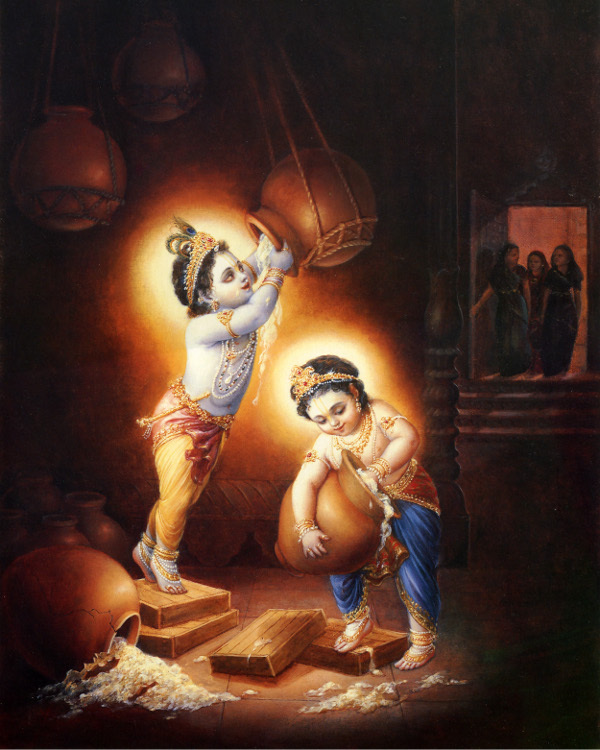 Always in the mood of serving LORD as little Krishna he used to swoon in bhakthi bhava of Yasodha . After being conferred “Bhattar pirAn”, PeriaAzhwAr continued on his garland service while singing the pasurams on Lord Krishna .The mood in which Azhwar sung was as if he became His mother, yasOdhA. He bathed him, fed Him, dressed Him up played with him and enjoyed every part of his beauty . Azhwar imagines all his childhood mischief which yasOdhA had undergone. The Child’s naughty mischief, divine leelAs, were all sung by periyAzhwAr at a stretch which is a prayer book of all vaishnavas . All the pAsurams of Azhwar are to be sung , re-sung and enjoyed. 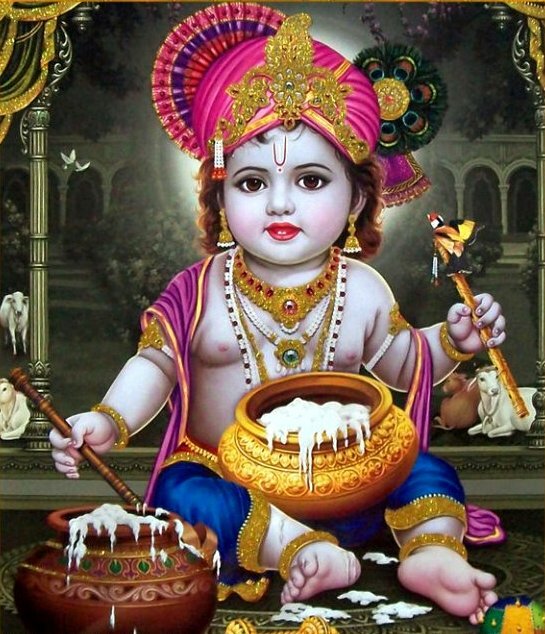 All were bhakti laden pAsurams and shall taste like a ripe grape fruit soaked in honey by the devotees . Azhwar , takes over the scene from LORD’s appearance , wherein all citizens of Mathura are happy on the appearance of Lord Krishna. Here he considers Thirukkottiyur a place near Madurai as Mathura and paints the picture of people going ecstatic, unable to contain the unlimited joy of LORD’s appearance . His choosing of words are so perfect that it can bring the divine scene before the devotees eyes . He reveals the ecstatic joy encountered by the gopas . Azhwar immerses himself into the emotional outpourings of Yashoda maa that keeps the reciter to visualize the mood of a mother giving holy bath to little Krishna while cleansing the tiny mouth of the Lord in his pasurams . 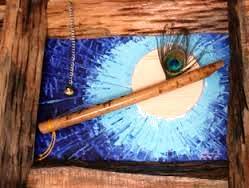 The verses keep the reciter emotionally charged with several divine pastimes of Lord Krishna in the following verses . 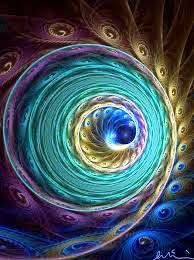 Azhwar observes the seven worlds or universe itself inside the little mouth ! 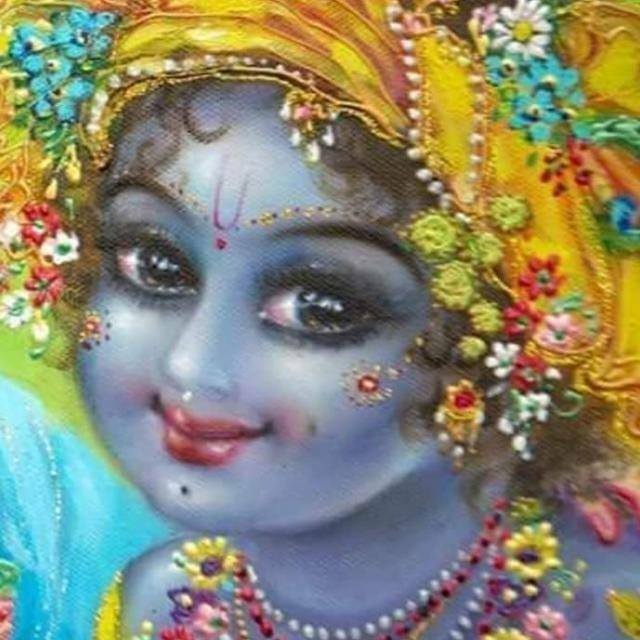 Next, he enjoys the beauty of the parts of LORDs body from the Holy Feet to the lovely Locks of hairs and as a mother he invites other gopis to partake in his transcendental bliss . 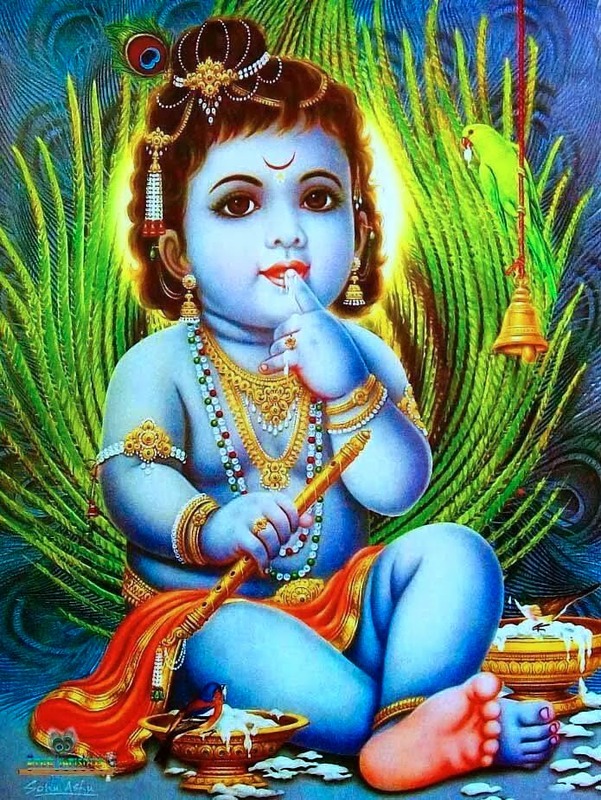 As Lord Krishna was hid from the demon Kamsa notice and secretively brought up, Azhvar innocently says that this child was born in ascendant star that is tenth from Hastam star ! Counting forward tenth star from Hastam is Thiruvonam ( Sravana ) which is Lord Narayana’s star and counting backwards from Hastam is Rohini, Star of Lord Krishna. 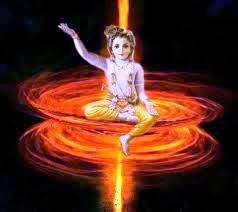 This is he does to ensure the demon kamsa does not harm little Krishna after knowing his whereabouts . Azhwar intelligently announces this for the safety of this child in his wonderful pasurams . 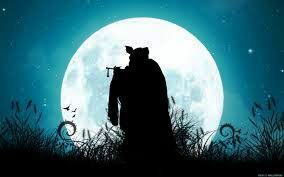 Azhvar further proceeds by singing a Lullaby for Divine Child and lists out the various presents made by different celestials Brahma, Rudra, Kubera, Varuna, Indra, Sri Mahalakshmi, Bhumadevi and Kali . Acho Acho …………for the child’s bravery for his little steps……. and advises the ordinary mortals to name their kids with the holy names of Lord to be attached to the supreme personality . Azhwar now visualises the holy oil bath ( Neerattam ) of little krishna . 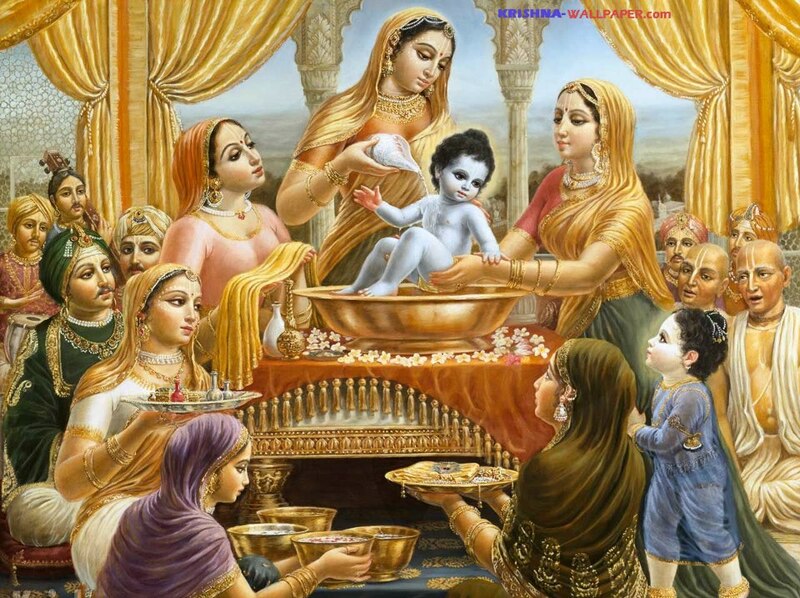 Krishna is not keen to join his mother for taking a bath . Yasoda pleads him with several quotes amusing the reciter . 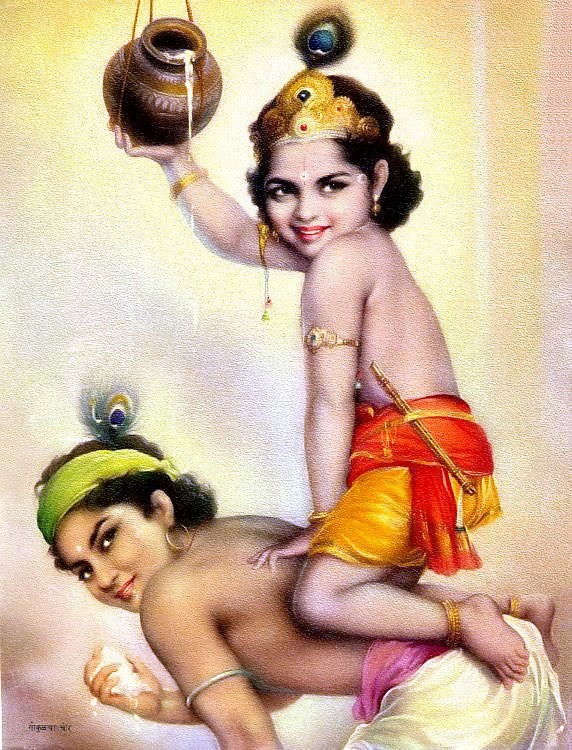 Little Krishna refuses and runs away every attempt . She entreats him saying- Kanna !! “Having besmeared your body with butter and mud, I will not let you soil your bed tonight. See! For how long I have been waiting with oil, scented soap-nut powder etc. O! Lord! Narana! who is beyond anybody’s reach. Please do come and have your bath”. Yashoda having failed convincing , finally tricks him into a sense of shame by saying “I might even like to leave you go with all the dirt on your beautiful body smeared by you, while playing in the cattle-shed but others ‘will not like it a bit and more importantly, if your darling Nappinnai ( Radha rani ) sees you in this state, she will laugh at you!. Are you so shameless to let this happen to you? Come,Quickly finish your bath and get ready” – This hymn is recited in all the Srivaishnava temples during Abhishekam Tirumanjanam (ceremonial bath) to the Lord. Azhwar amuses him by calling Kakkai (crow ) to groom the hair, to get a Stick for Him to play. The Naughty divine pastimes of little Krishna and the casual complaints of the neighbours on little Krishna is interesting . The verses take the reciter to many moods of a mother . Affection , Emotion , Deep love concern etc …. ( why not !!!! And it has a message for ordinary mortals like us ) At one stage , Yashodamaa is in awe of child is refusing to feed her breast but only solid food. She feels sorry that she had to send child to tend the calves for grazing , and worried about his safe return . The Gopikas getting enamored of Lord coming behind the Cattle. 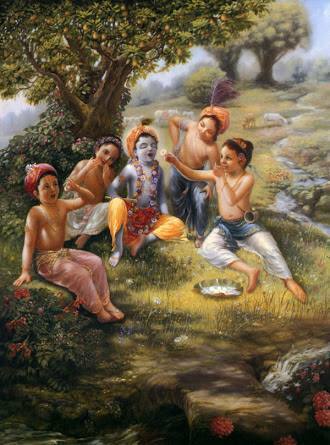 The verses conclude with some of the finest pictures of Krishna playing the flute in the forest. The incident of Lord Krishna’s lifting Govardhana Hill follows with glories to the Hill and the Lord who lifted saving the entire inhabitants . He gives vivid description of mountain itself. Azhwar visualises Lord Krishna’s playing Flute mesmerizing the Gopis, Cows, the birds the trees and the celestial in heaven. 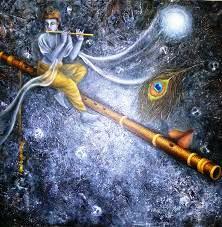 Periazhwar describes Lord Krishna’s flute-playing in 10 mellifluous verses. Azhwars often express their love as a mother OR of a daughter OR a lover meaning their own Souls longing for union with the Supreme Lord. Most of his 473 verses in Divya Prabandham, collectively known as “Periazhwar Tirumozhi” speak of the early years of Krishna. 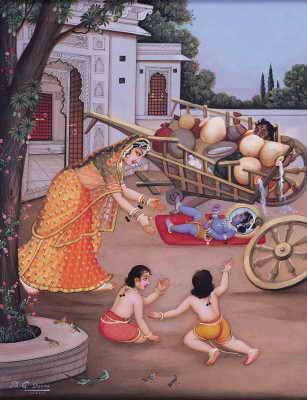 Azhwar became the father- in- law of Lord Narayana when his daughter Andal marries the Lord. – – an honor none else could claim. Thanks a lot for the story of Krishna. All the photos are very good and attractive. 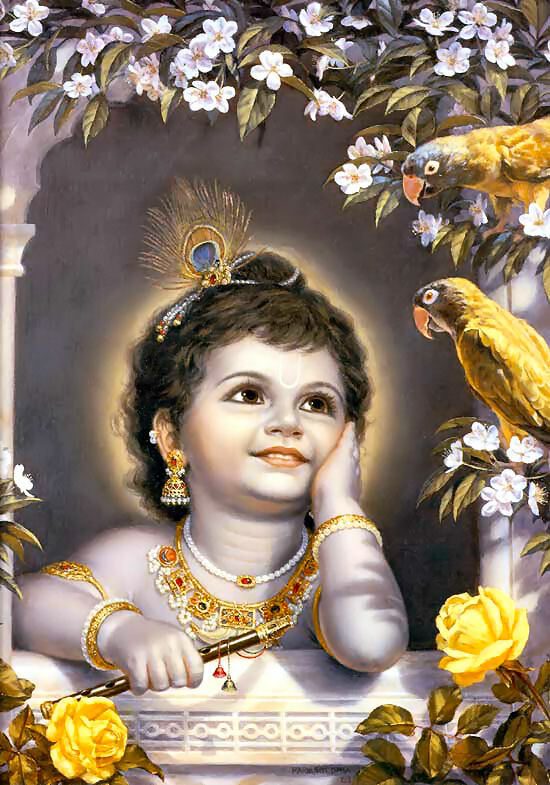 When I read all the stories I feel happy by his (Krishna) mischieves in his child hood. 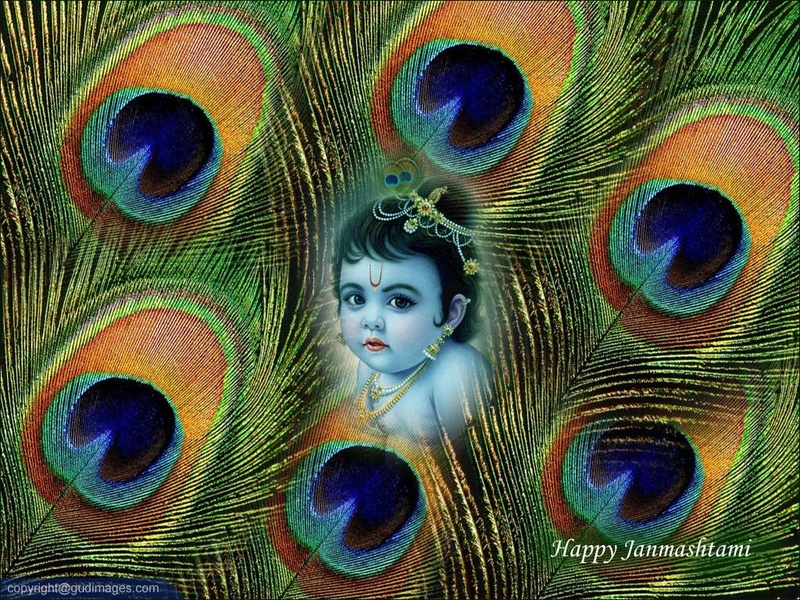 HAPPY SERENE JANMASHTAMI Varadan to your Goodself & Family.